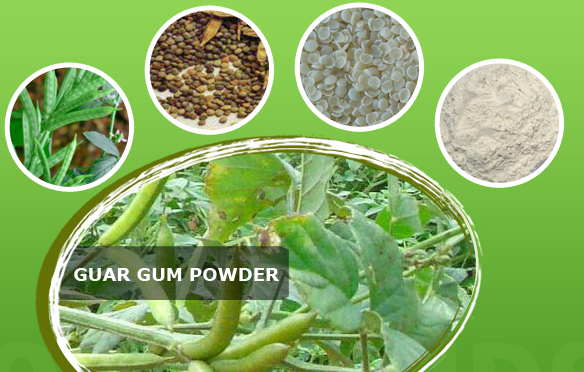 Guar gum powder is known for its thickening, stabilizing and emulsifying properties and it is extracted from guar bean seeds. Similarly the gum extract from guar bean seeds contains soluble fiber which is moderately processed again to obtain a gum product that has relatively lesser thickening property. The final extract obtained from partial processing is called partially hydrolyzed guar gum. What makes partially Hydrolyzed Guar Gum Powder Significant? PHGG is a significant ingredient that is applied widely in treating patients with frequent loose stools. It contains soluble fibers that help people to fight with irregular or inconvenient bowel movement as the fiber content regulates excretion to take place easily. How Partially Hydrolyzed Guar Granules are made? PHGG is made by enzymatic process in which guar gum powder is broken again to some extent. By doing so the thickening property gets reduced and the fiber content becomes highly soluble allowing for easy digestion when added in required quantity. PHGG bears high stabilizing property even under low pH and this proves it to be suitable to be included in fiber rich food. It can also enhance the nutritional value of fiber rich food specially prepared for patients suffering from diarrhea. PHGG is found to be a supportive ingredient that contains medicinal properties such as reducing stomach upset, paid inside the abdomen, etc. It is applied to treat people with constipation as well as to treat those who suffer from bowel syndrome issues. How do PHGG work effectively to cure patients with Irritating Bowel Movement? Consuming nutritional supplement that is prepared by adding PHGG helps the victims to regain energy level and stay relaxed from irritable bowel movement. The fiber content is also found to possess prebiotic qualities that take care of the colon. Enteral nutrition is a special feed prepared for people who suffer from extreme irregular bowel syndrome. PHGG stays a suitable ingredient in preparing enteral nutrition tube feed. Consuming this fiber rich tube feed improved the health condition of patients. PHGG is considered a significant component in clinical diet preparation. It is highly soluble in water as the enzymatic process decreases its viscosity and stay an effective ingredient to be added in enteral nutrition for patients. It is also included in patient diets to increase bifidobacterium in the gut portion. How People get better with Nutritional Diet Prepared from PHGG? Partially Hydrolyzed Guar Gum powder is ultimately soluble and stays stabilized in heat and acid. Hence, Patients fed with dietary food prepared with PHGG can feel betterment from irritating bowel syndrome. Partly Hydrolyzed gum powder is applied in food products to reduce crystal formation, to enhance emulsification and in bakery items that contains less fat content. Buying first quality PHGG is more important when it comes to clinical usage. Altrafine is a reliable manufacturer and supplier of partially hydrolyzed gum powder as they maintain the quality of gum extracts with the help of experienced research and development team. Pricing for gum extracts is also relatively good at Altrafine.